An espionage thriller, Red Sparrow features a strong Jennifer Lawrence performance but is poorly executed. In Russia, Dominika (Jennifer Lawrence) is a famed Russian ballerina who also looks after her sick mother. When Dominika suffers a seemingly accidental career-ending on-stage leg break, her uncle Ivan (Matthias Schoenaerts) first uses her as bait in an assassination mission and then recruits her into the Red Sparrow spy school, where Russians are trained to be lethal agents with expertise in psychology and seduction. Under the tutelage of the Matron (Charlotte Rampling), Dominika proves in training that she is as ruthless as her uncle, but resents his manipulation of her life. She is assigned to get close to CIA agent Nate Nash (Joel Edgerton), now in Budapest after fleeing from Moscow. Dominika's mission is to get Nate to reveal the identity of a high ranking Russian mole. The two spies get close to each other, and both have to find a way to get what they need in a high stakes game. 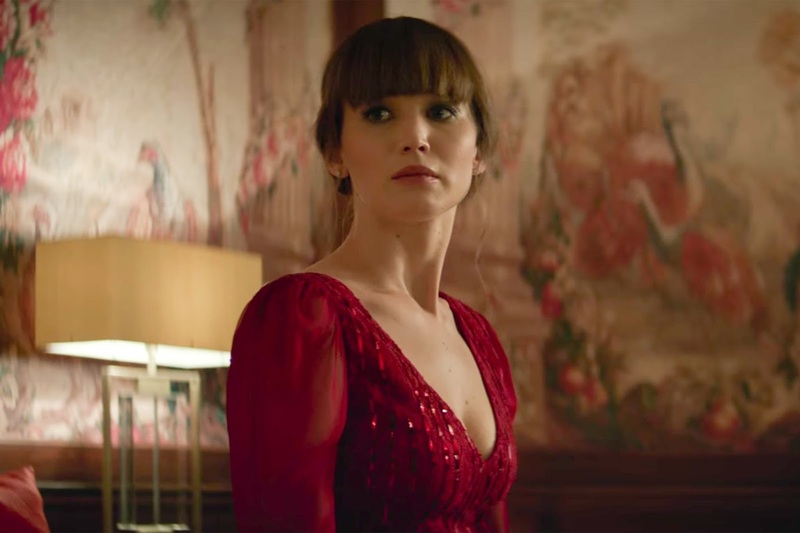 Directed by Francis Lawrence and based on a book by Jason Matthews, Red Sparrow is overlong and from about its halfway point, almost incomprehensible. Despite the needlessly prolonged 140 minutes of running time, Lawrence and his screenwriter Justin Haythe spectacularly botch the pacing, tension and key plot points. Which is a pity, because up until the end of Dominika's training scenes Red Sparrow is a decent enough spy story with a strong character at its core, an intriguing Russian perspective, and a suitably grey, cold aesthetic. Jennifer Lawrence is another plus, fully dedicated to the role, commanding the screen and injecting a steely spine into the role. It all goes sideways once Dominika and Nate meet. Important facts, key characters and crucial events start to wade in and out of the story with a bewildering lack of cohesion. The plot gets distracted by US Senator's aid Stephanie Boucher (Mary-Louise Parker) being suddenly drop kicked into (and then out of) the story as a wannabe traitor. Dominika's roommate in Budapest Marta is also sketched in and out, contributing seemingly key information in undecipherable snippets. The Russian station chief in Budapest alternates between doofus and menace, and numerous senior intelligence chiefs on both the American and Russian sides (including Jeremy Irons and Ciaran Hinds) contribute little of value except more shallow obfuscation. Motivations are lost, explanations are skipped, and the film totally loses its way. Dominika and Nate share no chemistry, and nothing that either of them has to say rings true, because their core business is lying. Several torture ordeals follow, but the impact is absent because the characters are adrift in an emotional void. Somewhere in the scattered debris of the script Dominika is plotting an elaborate ruse that becomes clear in the final scene, and by then the dots are well and truly not worth connecting.